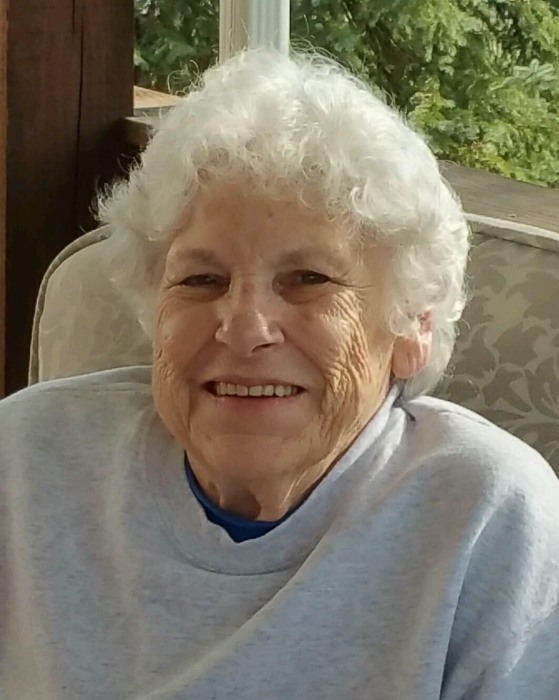 Sylvia Kidney, 85, of Ft Thomas, Kentucky passed away on October 8, 2018 at St Elizabeth Hospice, Edgewood. She was born on April 24, 1933 to the late Clinton and Georgia McIntosh. On September 3, 1955, Sylvia married Thomas Kidney and he preceded her in death on September 8, 2011. Sylvia enjoyed bowling, Bingo and gambling at the casinos. In addition to her husband and parents, Sylvia was preceded in death by her brother Conley McIntosh and her sister Sharon McIntosh. She is survived by her children Thomas Gary (Terri) Kidney, Sharon Leah (Timothy) Cook, Bryon Terry Kidney, Darryl Wayne (Kim) Kidney; grandchildren Amanda Jean Rellahan, Thomas Bradley Kidney, Anna Michelle Kidney, Brandy Nicole Menetrey, Cathy-Lee Boone, Bryon Derek Kidney, Tiffany Marie Brackett, Ian Thomas Kidney, Jacqueline Kate Kidney, Jared Cole Kidney; great grandchildren Jack, Luke and Georgia Rellahan, Hailey Menetrey, Gracie, Evelyn and Cecilia Brackett, Bradly Fryman, Isabella Wolfe, Caleb Hetzer; brother Roger McIntosh; sister Karen Rogers; as well as numerous nieces and nephews.